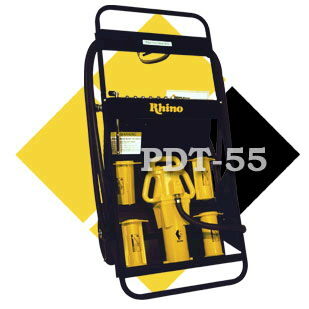 The PD-55 is easily operated by one man and is the perfect choice for driving ground rods, delineator posts and various types of steel posts. -Uses 42 CFM (1.19 m3/min) @ 90 psi (6.4 kg/cm2). * Please call us with any questions about our post driver air powered in Mason OH, Westchester OH and Cincinnati metro area.